National Accreditation Board for Testing and Calibration Laboratories (NABL) is an autonomous body under the aegis of Department of Science & Technology, Government of India. 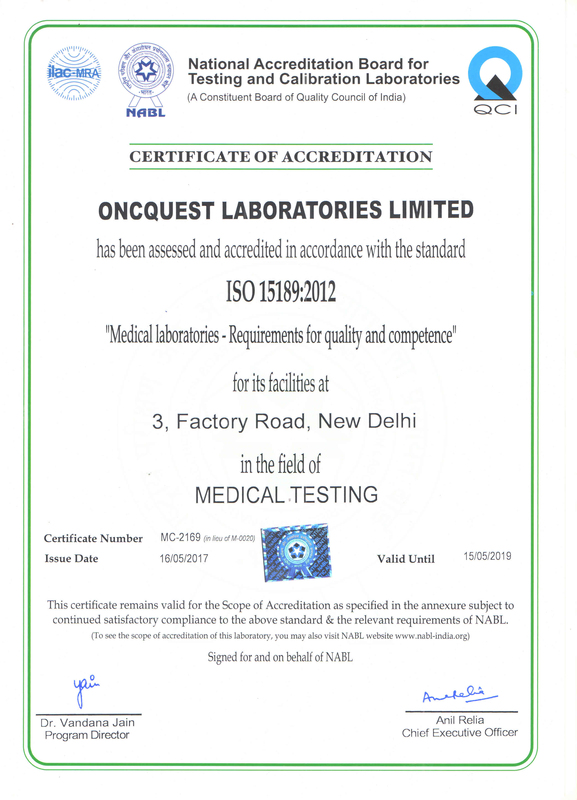 It has been established with the objective to provide Government, Industry Associations and Industry in general with a scheme for third-party assessment of the quality and technical competence of testing and calibration laboratories.NABL maintains its linkages with the international bodies like International Laboratory Accreditation Co-operation (ILAC) and Asia Pacific Laboratory Accreditation Co-operation (APLAC).NABL accreditation is a formal recognition of the technical competence of a testing or calibration laboratory for a specific task, which is based on third party assessment. NABL accredited laboratories emerge as a member of global family of accredited laboratories. The CAP Laboratory Accreditation Program is an internationally recognized program and the only one of its kind that utilizes teams of practicing laboratory professionals as inspectors. Designed to go well beyond regulatory compliance, the program helps laboratories achieve the highest standards of excellence to positively impact patient care. This accreditation program also meets the needs of a variety of laboratory settings from complex university medical centers to physician office laboratories and covers a complete array of disciplines and testing procedures.